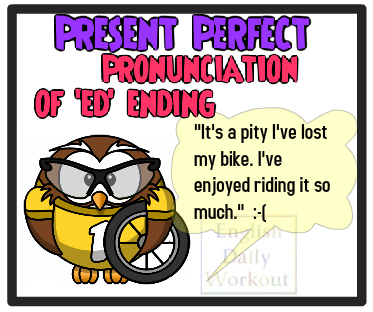 However, when the ending ed is added to verbs which end in d or t, the ed ending of the past participle is pronounced as a separate syllable. The reason for this is that the sounds of d and t are so similar to the sound of the ed ending, that the ending must be pronounced as a separate syllable in order to be heard clearly. Keeping in mind that the ending ed forms a separate syllable only when it follows the letter d or t, indicate the number of syllables in each of the following past participles. Read each of the the past participles aloud.